In order to validate the effectiveness of our ABCmouse.com Early Learning Academy, Age of Learning regularly commissions research by independent early education experts. I’m pleased to report that study findings have consistently shown significant positive effects. This brief post will summarize several key findings from three large-scale studies of the effects of ABCmouse.com use by children, both at home and in school, in a range of geographic and socio-economic settings. For additional details, see this Age of Learning blog post about the studies. ABCmouse.com accelerates learning: children using our curriculum develop early literacy and math skills two to three times faster. ABCmouse.com helps children make significant gains in phonics, vocabulary, literacy, and other reading skills, as well as numeracy and other key math skills. 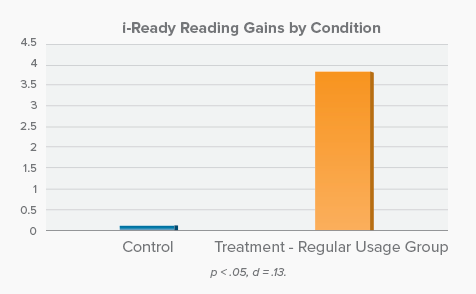 Children who regularly use ABCmouse.com at home outperform their peers: regular users of ABCmouse.com score more than 50% higher on several reading and math skills—on some skills, more than 80% higher—than peers who have not yet used the curriculum.